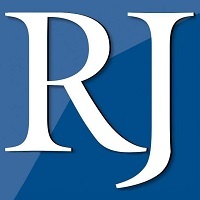 Stephanie Grimes has been named deputy editor overseeing features for the Las Vegas Review-Journal replacing Mark Whittington who retired. She will oversee arts, entertainment, lifestyle, personal health, food and drink coverage, as well as the NEON and Living/Taste sections. She most recently served as audience development director since July 2013. Prior to joining the Las Vegas Review-Journal, she was an evening managing editor and reporter for KSL.com in Salt Lake City. For more Las Vegas news, follow the Review-Journal on Twitter and Instagram.